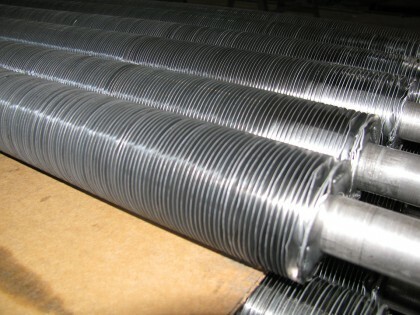 Expert Spiral Fin Services - Quality Tube Supply Ltd. located in Calgary & Ancaster. 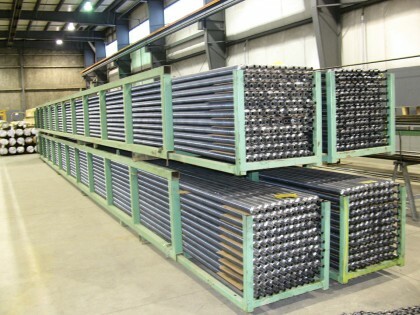 Expert Spiral Fin Services - Quality Tube Supply Ltd. located in Calgary & Ancaster. Spiral Fin Services supplies finned tubing for a variety of applications. These include heat transfer products such as radiators, heaters and air-cooled exchangers. Our finned products range from 5/8″ to 2″ O.D. with a wide range of fin heights in aluminum or other alloys, and in L foot wrap-on or imbedded configurations. We also offer a smaller diameter tube and larger diameter weld-on finned pipe for heavy industrial use.